I was hesitant whether to rate this book 3 or 4 stars. Three stars because Davies is overly repetitive. Actually, the true name of this books should have been "the problem of evil according to Aquinas and my cat Smokey." He loves Aquinas and agrees with almost everything he has to say on the subject, and although it is great to learn so much about him throughout the book, at one point you are just tired with all the references to him. Four stars because this book gave me a completely novel comprehension of the problem of evil. If you think you will be picking up yet another book full of theodicies and defenses, you are dead wrong! This is a completely different project, and although you get the sense, in the end, that you dont quite get an answer to give on the problem, you will nonetheless be dumbstruck! I highly recommend the read. This book is amazing. It is like reading a commentary on Thomistic philosophy. Brian Davies answers the problem of evil in a way that almost no other contemporary author is even attempting. He shows the flaws in other ways of answering the problem, and then defends his own argument. 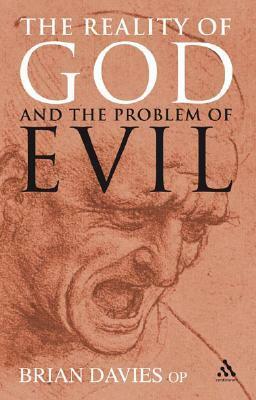 This book is one of the most important books ever written on the problem of evil. I haven't read all of it yet, but I've read most of it, and I can already tell this is the best detailed treatment on the subject of theodicy I've ever read. From a Thomist perspective, and for that reason very useful for Calvinists. Overly wordy and confusing. The Appendix barely brought it together for me. Brian Davies - Brian Davies is a Dominican friar and Professor of Philosophy at Fordham University, New York. He has published extensively on the thought of St Thomas Aquinas.